Every city has great food. Some are in the form of restaurants and some are in the form of regional foods. Part of what makes travel exciting is either discovering these new foods from local and specialty food producers or hearing about them before and then visiting. I am originally from Philadelphia and like every other city; Philly is known for quite a few foods including hoagies, soft pretzels, cheesesteaks, Peeps, Tastykakes, water ice and scrapple. Another food that Philly is known for is chocolate. Yes, chocolate. From candy makers to chocolatiers, Philly has some of the most diverse chocolate and chocolate makers in the country. Most people are already familiar with Hershey’s and Goldenberg’s Peanut Chews. Hershey’s, founded in 1894, is one of the oldest chocolate companies in the United States and Goldenberg’s Peanut Chews, which was originally introduced in 1917 as a ration bar for the U.S. military during World War I, was introduced to the public in 1921. 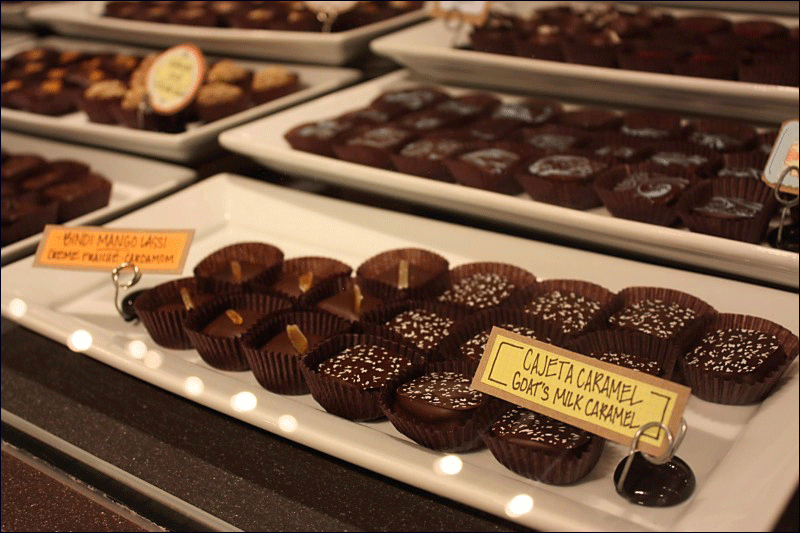 However, there are a few chocolate shops that most people outside of Philadelphia may not know about, but should. 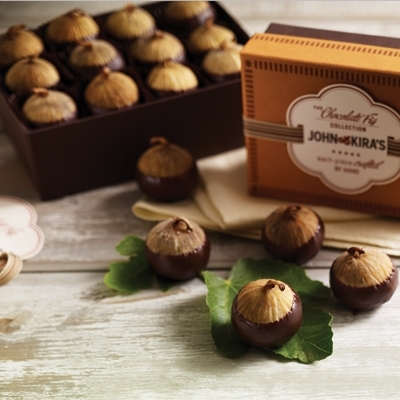 These chocolatiers, ranging from traditional to modern, are some of the oldest and most creative candy makers in the United States. 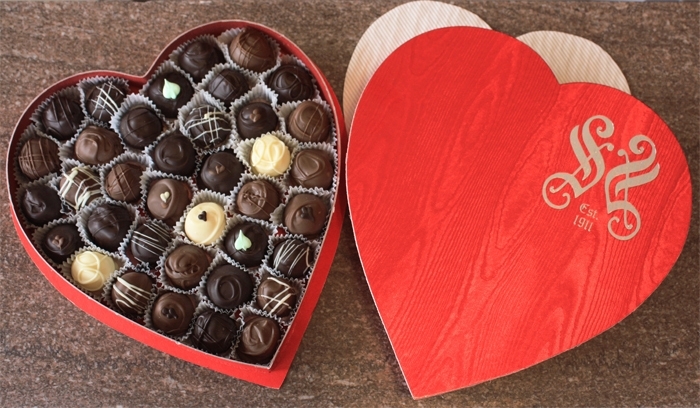 With Valentine’s Day and Easter coming up, perhaps a delicious box of chocolates from one of these chocolatiers will be a welcome change from the velvet covered, heart-shaped boxes of chocolates or chocolate eggs from the local drug store. 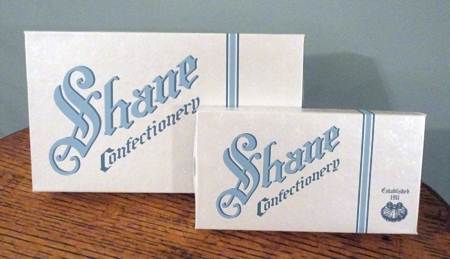 One of my favorite, and go-to candy shops to buy chocolates for others, and me is Shane’s Handcrafted Candy (www.shanecandies.com). Located in the Olde City section of Philly, Shane’s Candy, dating back to 1863, is the oldest candy shop in Philadelphia and is one of the oldest, continuous operating candy shops in The United States. It has been making confections at its present location, 110 Market Street, since the Civil War, operating under another name until Edward Shane bought it in 1911. It has been operating as Shane’s ever since. Much of Shane’s Candy is made the same way it has been made for over one hundred years. 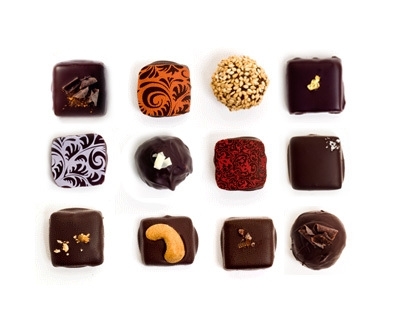 Sourced chocolates are melted, various centers and fillings are hand-made and many of the candies are hand-dipped or hand-coated – all on the premises. Beautifully packaged, Shane’s is known for a number of chocolates, but their most popular ones are their butter creams, clear toy candy, caramels and around St. Patrick’s Day – Irish potatoes. My favorite is their butter creams. They are handmade and hand-dipped in either milk or dark chocolate, delicious and not too sweet. For Valentine’s Day, Shane’s offers beautiful red heart-shaped candy boxes with a wonderful assortment of chocolates, themed clear toy candies and other delicious assortments. Milk, dark, and white chocolate bunnies, in assorted sizes, are available for Easter, as well as hand-made and hand-decorated chocolate Easter eggs, hand-rolled coconut crème eggs and Easter-themed clear toy candies. Shane’s Handcrafted Candies is located at 110 Market Street in Philadelphia. 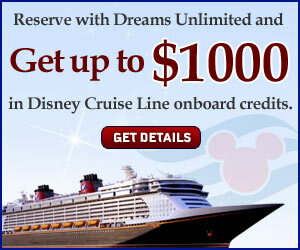 Candies can also be ordered either online or by calling 215-922-1048. They source many of their ingredients from artisan food growers in the Philadelphia area, across the United States and globally. Additionally, they work with garden partners to grow the herbs and fruits and vegetables that are used in their delicious Urban Garden Bars: the Mighty Mint Bar, Tangy Orange + Garden Rosemary and Chili Pepper + Almond Bar. Mint, orange, rosemary and Guajillo peppers come from five urban gardens in Philadelphia, Chicago and Washington, D.C. Additionally, 5% of the sale of each of these bars goes directly back to the gardens to support their educational programs. 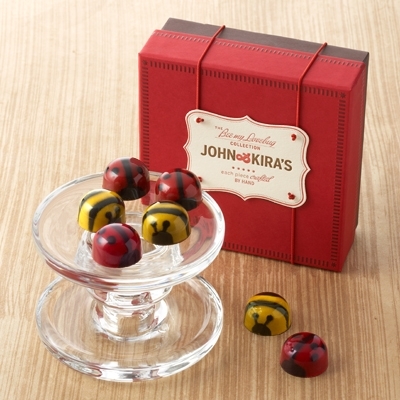 In addition to their amazing Urban Garden Bars other John & Kira favorites include their Chocolate Bees, Caramel and Chocolate Bees, Chocolate Ladybugs and Chocolate Figs. Each of these are perfect for Valentine’s Day gifts. 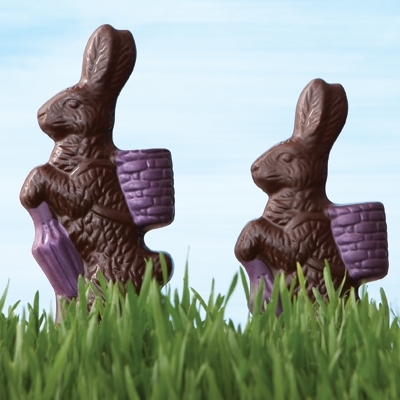 In addition to these, chocolate rabbits will be available for Easter. Not only are their chocolates beautifully made, but also the boxes they come in are stunning, simple and so elegant. 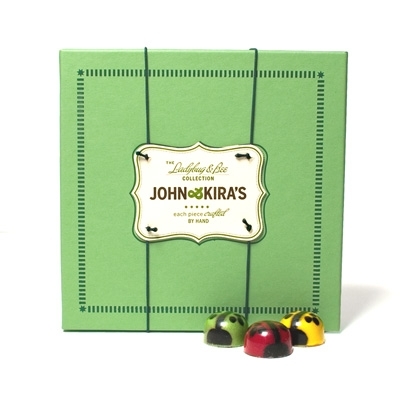 They do not have a dedicated storefront, but their chocolates are available online or calling them at 800-747-4808, as well as at various farmer’s markets throughout the Philadelphia area. If someone said, “Tell me what you think of when you hear French Farmer, Soft Pretzel, Pub Crawl and Italian Flirt?” Chances are types of chocolate would not come to mind. However, at Marcie Blaine Artisanal Chocolates they do! Marcie Turney and Valerie Safran are the creators behind these and other fantastic flavors. Carefully sourcing ingredients from the Philadelphia area and spectacular combinations that would one would not normally think of combining let alone in a chocolate. There is a unique and delicious selection of chocolates and barks with wonderful, unique and unusual flavors. Some of their chocolate flavors include: Grape Balsamic (fresh concord grape puree & aged balsamic), Banana Tahini (fresh banana puree, sesame tahini), Tipsy Poodle (La Colombe coffee and whiskey), French Farmer (elderflower and champagne), Italian Flirt (rosemary, pinenut and caramel), Soft Pretzel (peanut butter pretzel ganache) and others. Their chocolate barks include Pub Crawl (crushed pretzels, smoked almonds and cashews), Milk or Dark Chocolate Housemade Granola, Dark Chocolate Mixed Berry and others. 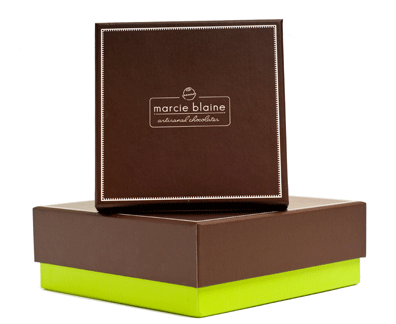 Marcie Blaine Artisanal Chocolates can be purchased by visiting www.marcieblaine.com, calling 215-546-8700 or visiting their retail shop at 108 South 13th Street in Philadelphia. 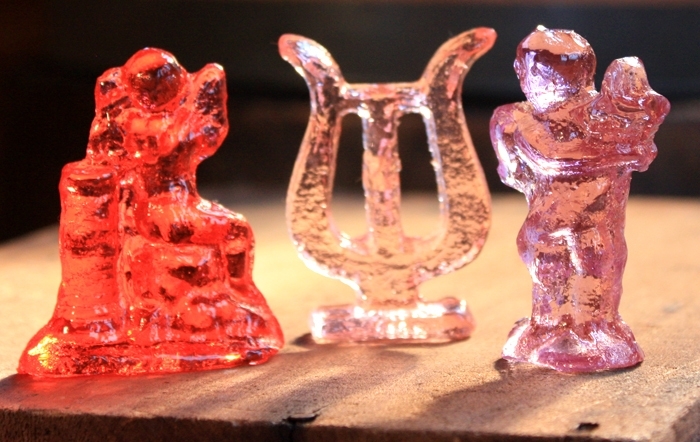 These and many other chocolate makers can be found in the Philadelphia area. So next time you’re looking for something different to send to someone or even yourself, give these chocolate shops try. You’ll be in heaven. This entry was posted in Eat Like a Local, Foodie Tales and tagged butter creams, Caramel and Chocolate Bees, caramels, chocolate, Chocolate Bees, chocolate bunnies, chocolate Easter eggs, Chocolate Figs, Chocolate Ladybugs, clear toy candy, Easter, Goldenberg’s Peanut Chews, hand-rolled coconut crème eggs, Hershey’s, John & Kira’s, John Doyle, Kira Baker-Doyle, Marcie Blaine Artisanal Chocolates, Marcie Turney, Mighty Mint Bar, Philadelphia, Philadelphia Chocolate, Shane’s Handcrafted Candy, Urban Garden Bars, Valentine, Valentine's, Valentine's Day, Valerie Safran by Chuck Mirarchi. Bookmark the permalink.